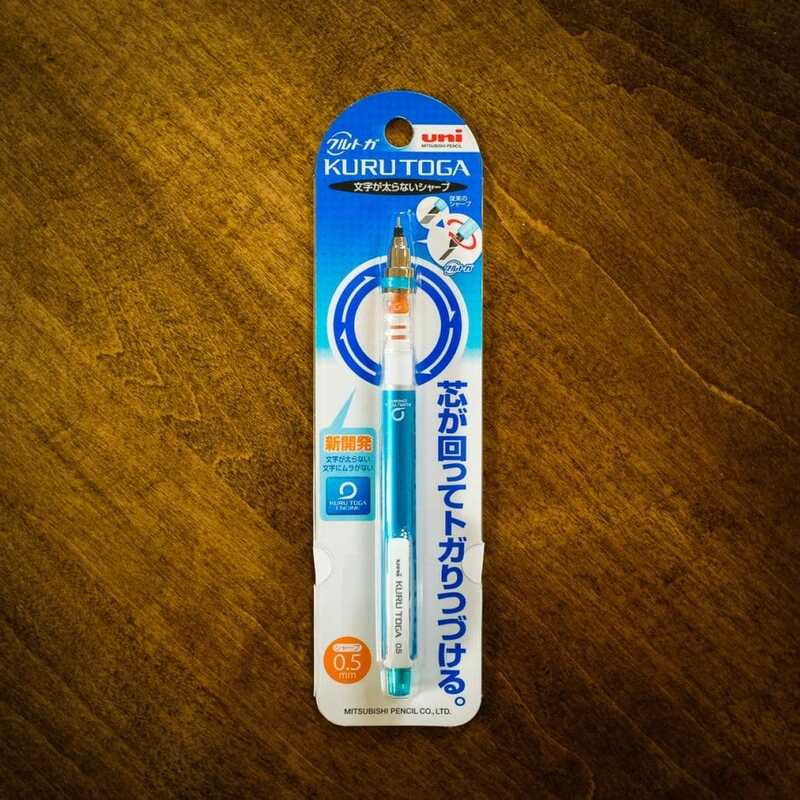 I received a nice little goodie in the mail today: a Kuru Toga mechanical pencil. The special thing about this pencil is that it has a mechanism which will rotate the lead slightly each time you lift the pencil from the paper, thus ensuring the lead is always sharp, or at least has a consistent angle. I tried it out for a little while, and it seems to work! Later this evening, I scanned in last night’s sketch and did my usual edit in Photoshop. Basically, I cut and paste the nose, mouth, and eyes, then adjust the position, size, and angle of each to what feels right to me. I can use that information on my next drawing so that I can get closer to my ideal sketch. 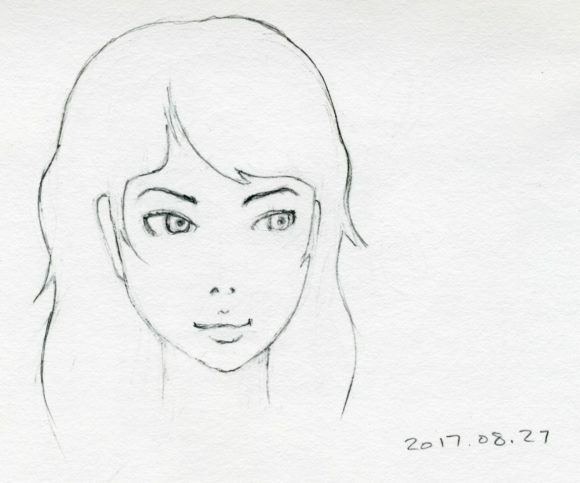 And even though I have only started using this technique, I think it helps! For this latest sketch, I didn’t have to edit too much… just a pixel here and there, and resizing the eye on the left a little. The top image is the before, and the bottom is the edit. Can you see the difference? 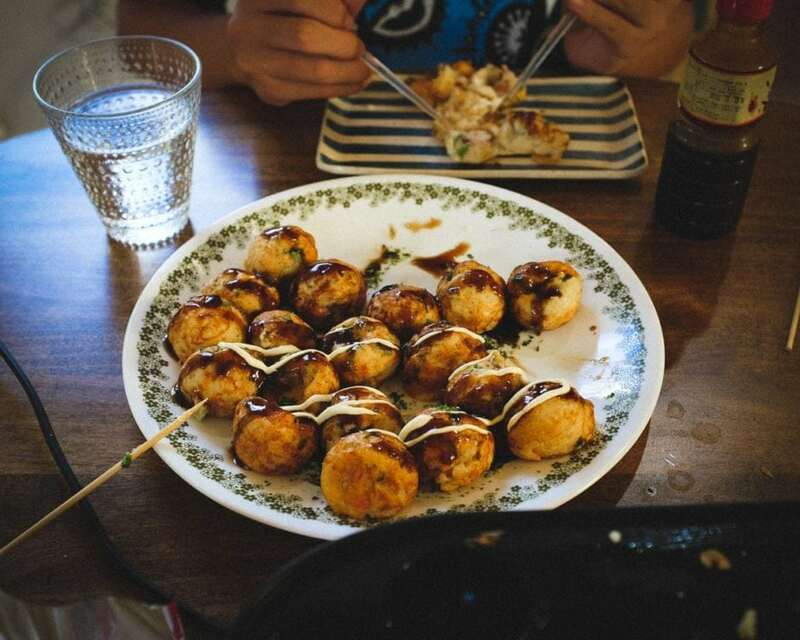 Any recommendations on a good electric takoyaki pan? I’ve always wanted to make my own at home! I can’t find the Twinbird takoyaki pan online, but this one looks similar. http://amzn.to/2wQAhD4 The price looks good too! This is great! Thanks very much for the recommendation.